Here at Hunker, we gravitate toward homes that are lived in — we like decor that has a story. But sometimes, we make exceptions when we find inspiration in other places. 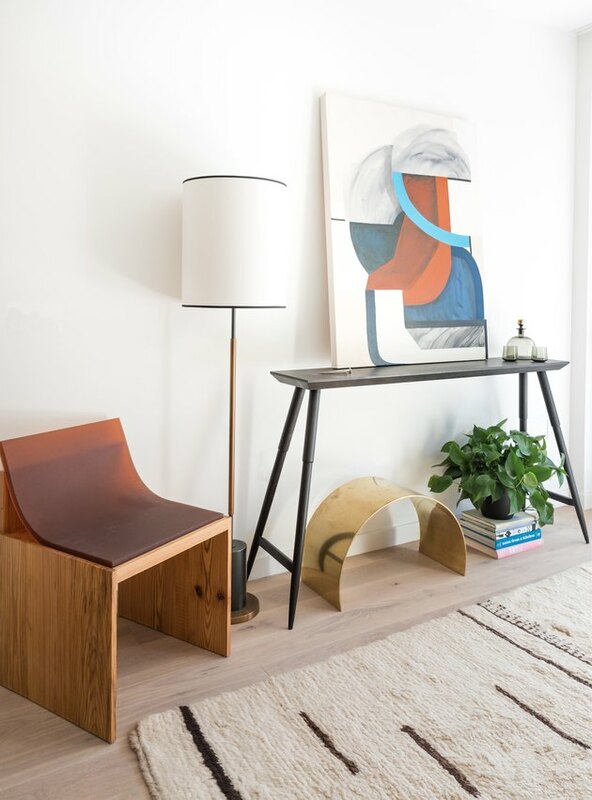 Case in point: The design for this display apartment by Lauren Geremia of San Francisco-based Geremia Design. She conceptualized this interior for 815 Tennessee, a new condo project in SF's Dogpatch neighborhood. (Clearly, her design won people over because the units are now sold out.) The building itself has an interesting history — it was once the site of an old electrical switch factory. The original 1926 facade still stands, with architectural teams Edmons + Lee and BDE constructing out a modern, 69-residence addition. 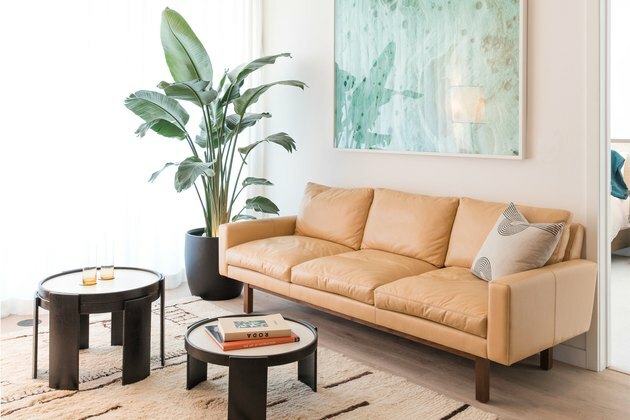 In this 1,335-square-foot unit, Geremia focused on integrating elements that riff on the vibe of the neighborhood and surroundings. TRNK's customizable Truss sofa provides a comfy space to take in the city view. A Block Shop pillow accents the couch, while a piece by artist David Benjamin Sherry occupies the space above. A piece by SF-based artist Rebekah Goldstein sits on top of a narrow table from Studio Dunn. The chair is by Brooklyn-based duo Kristen Wentrcek and Andrew Zebulon. 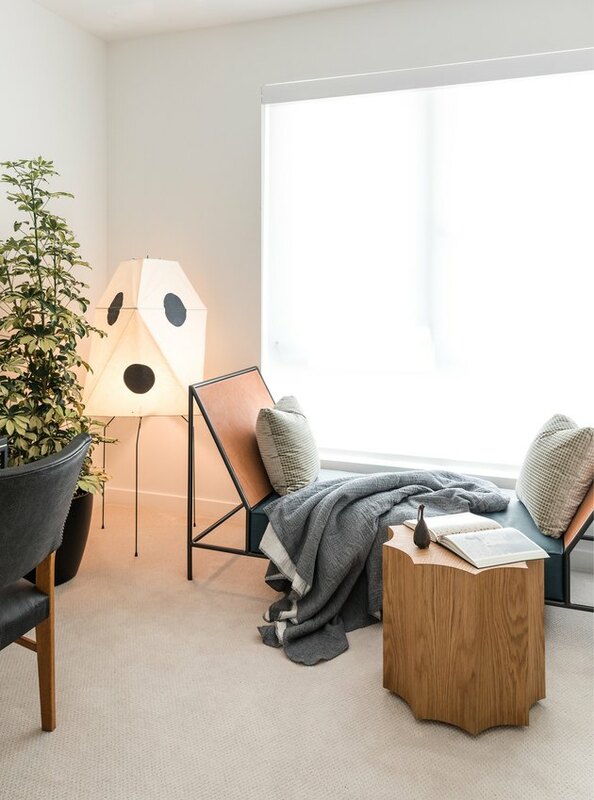 With a modern geometric daybed, a scalloped wood side table, and a Noguchi washi paper lamp, the combo of textures and styles in the living room deserves an A+. 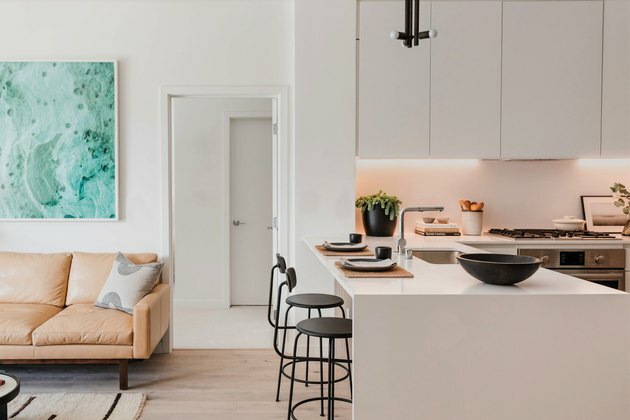 Bar stools from Danish design company Menu and Workstead's Lodge pendant offer interesting contrasts to the stark-white kitchen. 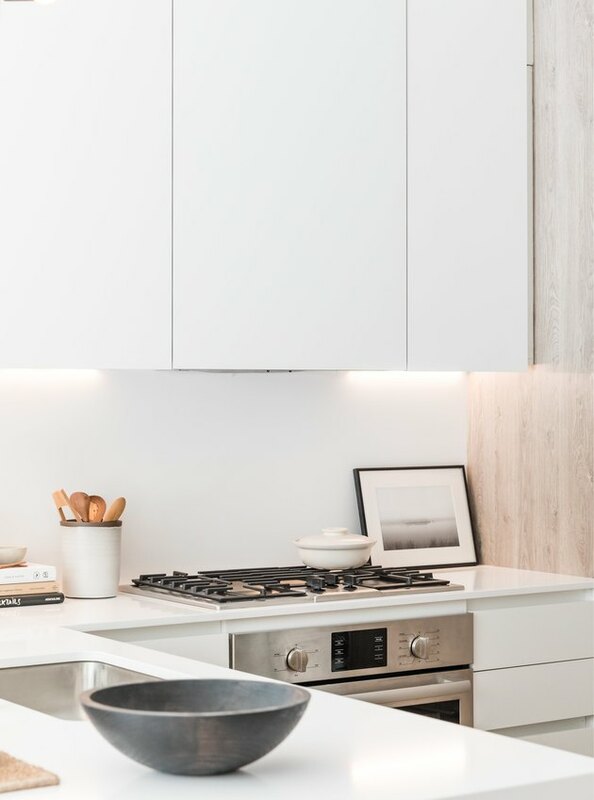 Opting to go sans hardware with the kitchen cabinetry (designed by Sozo Studio) contributes to the space's streamlined feel. 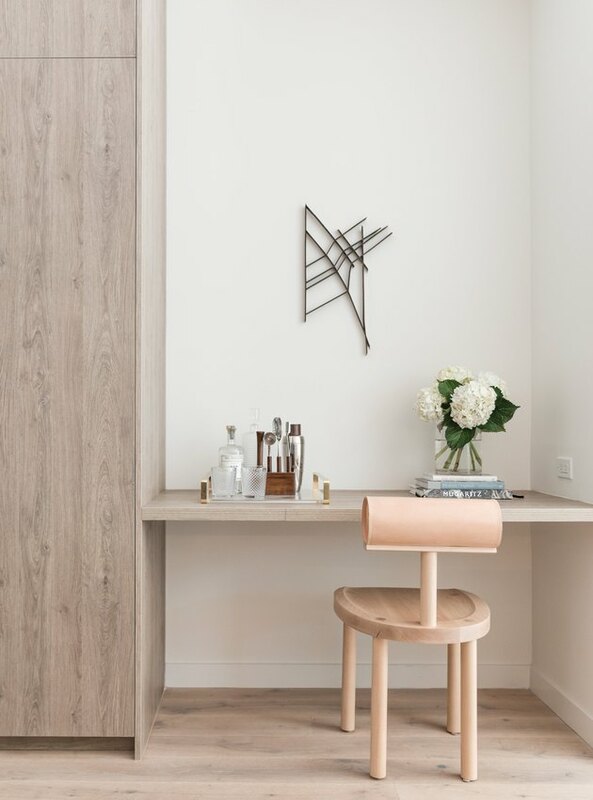 A minimalist built-in offers a surface that could be a workspace, vanity, or bar. The sculptural piece hanging on the wall is by SF-based artist Andy Vogt (chair by Los Angeles-based Estudio Persona). 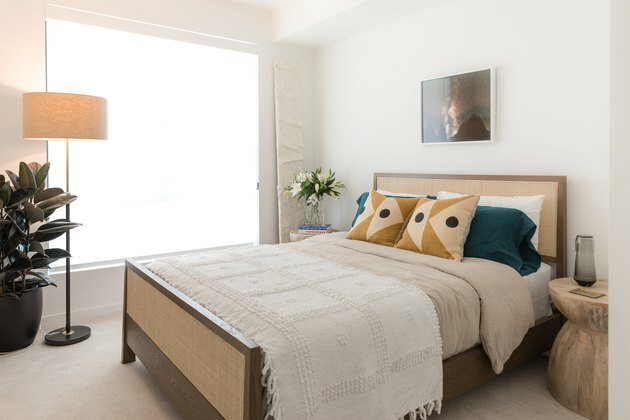 In the bedroom, a Lawson-Fenning bed embraces the cane trend. 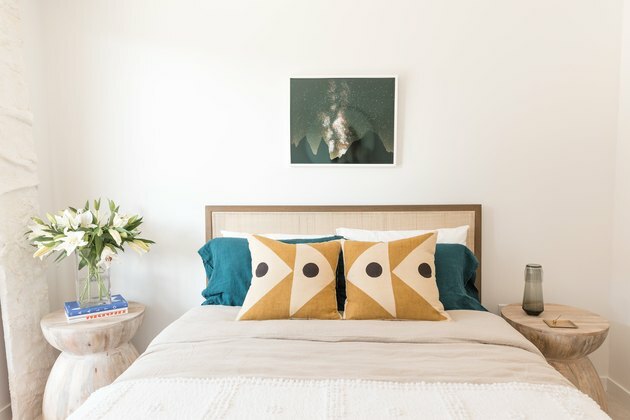 The pillows are from Los Angeles-based sister duo Block Shop. 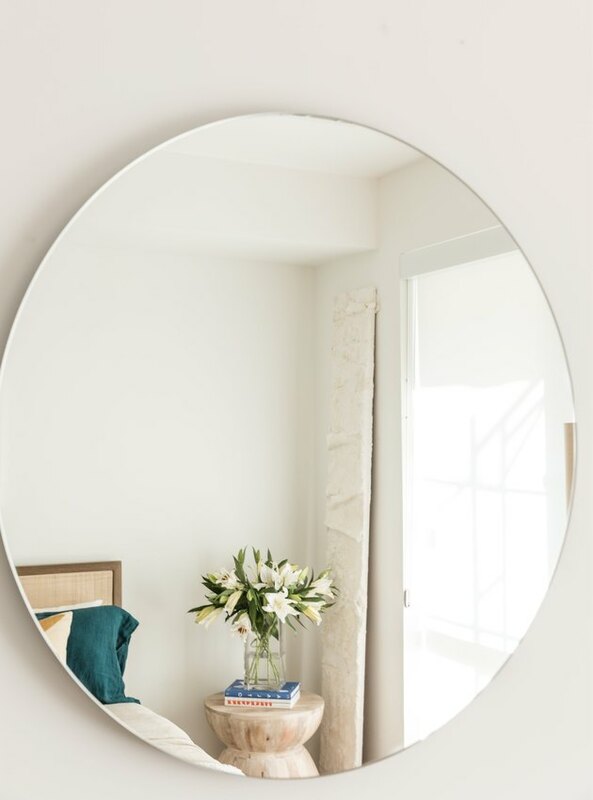 Side tables from Anthropologie are reflected in a round, frameless mirror from IKEA.